On Sunday October 29th, 6,500 runners from 43 States are running 13.1 miles across the city on roads and trails from Seacrest Field to the Railyard in the 4th annual Good Life Halfsy. It is our hope that you will find the Good Life Halfsy an entertaining and spectator friendly event and great for the Lincoln community. In its fourth year, the event has quickly grown into a major event for the City of Lincoln. Now a City Co-Sponsored event, we will not only host 6,500 runners, but nearly 15,000 spectators, over 500 volunteers and hundreds of sponsors and vendors all help to provide nearly a $3 million economic impact on our city. As longtime Lincoln residents, ourselves, we are proud of our city and want to showcase our beautiful city. We have worked with representatives of the City of Lincoln to develop this course that runs past many attractive areas of Lincoln on road and along several bike paths. Our printable driving detour map will help with suggested driving detours along with timelines of expected road closures. We have also created an interactive Google map to help you find your home or church along the course to be able to plan accordingly on race day. The race starts at 8:30 a.m from Seacrest field and will run down 70th St. through Fox Hollow Neighborhood before making its way to Pioneers Blvd and into Holmes Park. From there runners will be on Normal Blvd and Capital Parkway before merging onto the Antelope Valley Trail. Other areas that will see detours include Innovation Campus, North Bottoms (primarily New Hampshire + 10th St.) as well as Haymarket Park and Canopy St.
We are confident that this can be an extremely fun experience for you. In the past, we have had thousands of residents get involved at some level, from spectators to volunteers here are some ways to get involved in the fun on Sunday, October 29th! 1. SET UP your own aid station and offering water, orange slices, candy, kleenex etc. 2. GET THE KIDS INVOLVED, make signs & find the ideal spot to cheer on the runners as many of them are accomplishing a lifetime goal! 3. CHEER at one of the Official Cheer Stations along the course with free goodies for spectators including noisemakers, cowbells, signs and more! 4. 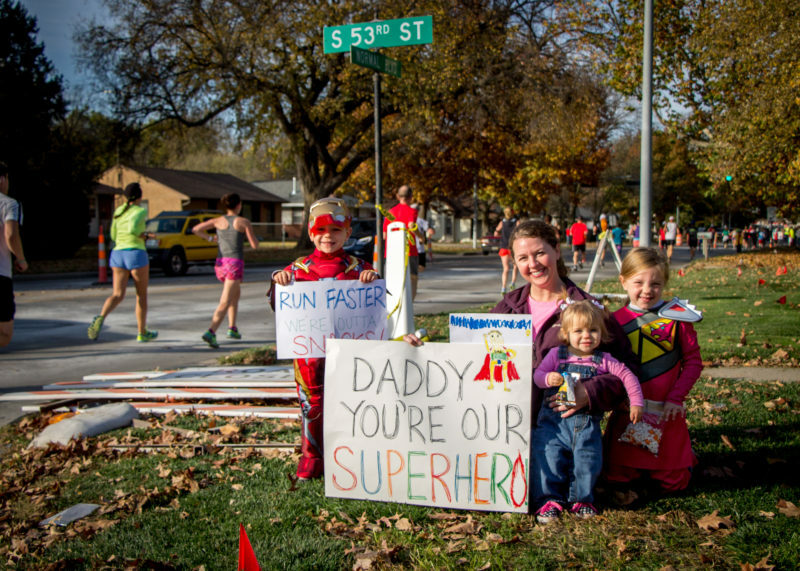 CREATE a banner to place along the course welcoming runners to your neighborhood/ Lincoln. 6. Come WATCH each triumphant finish on The Cube and ENJOY the festivities of the post-race festival in The Railyard.